We also want to extend a special congratulation to Sam Zuidema, who received an award for Best Oralist. 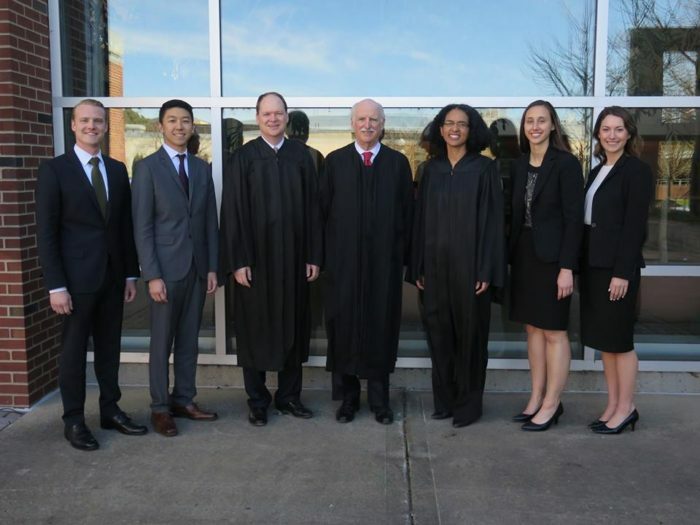 From Left to Right: Samuel Zuidema, Jonathan Kim, The Honorable Steven M. Colloton, The Honorable Douglas H. Ginsburg, The Honorable Leondra R. Kruger, Gabriela Zamfir, and Jackie McCaffrey. We are incredibly proud that all four participants are prominent members of the Law Review. Congratulations to all!